Smith+Henderson, the research firm specialising in franchise benchmarking, has announced the finalists for its 2017 Best Franchise Awards, sponsored by Lloyds Bank. To be considered as a finalist, the franchise companies have taken part in the Franchise Satisfaction Benchmark survey. Franchisees are asked to anonymously score its franchisor on qualities such as initial training, ongoing support, relationship with their franchisor and whether they would recommend their franchise to a prospective franchisee. 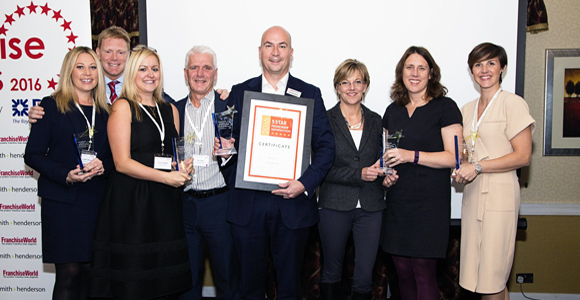 Steven Frost, director of Smith+Henderson, said: “We would like to offer our heartfelt congratulations to these franchisors who have already shown themselves to be amongst the very best in the country. All the finalists have received outstanding feedback from their franchisees, who completed our independent and confidential Franchise Satisfaction Benchmark survey, which uniquely identifies the franchises that live up to their franchisee’s expectations. We congratulate them on this achievement. Customer Service in the Digital Age: A Barking Mad Case Study – Lee Dancy, founder and managing director, Barking Mad and Richard Dancy, marketing consultant for Barking Mad. Over the course of the day there will be two best practice forums. The first will be hosted by Sarah Carlile, founder and director of Coconut Creatives, who explores the franchise disruptor concept and how being different will win you business. The second forum, hosted by Julie Taylor, managing director of Franchise Resales, discusses the importance of technique, rather than size, when it comes to franchise resales.